Flickr has often proved to be a savvy leaker of camera data pertaining to unreleased smartphones, and with preliminary testing likely taking place prior to the announcement of the Galaxy S5 next week, the Yahoo-owned photo sharing site looks to have its first snaps taken using the elusive device. The fact that we’ve little-to-no clue regarding the device’s form factor is a testament to how much of a secret the Korean company wishes to keep it, but we have still caught wind of rumors suggesting an improved, 16-megapixel rear-facing camera. Now, EXIF data of a photo taken using the Samsung-SM-G900A (possibly the AT&T Galaxy S5) and posted to Flickr appears to corroborate this. The test photo is shot at a resolution of 5312 x 2988, backing up the suggestion of a 16-megapixel offering, but since there’s no focus to the misty shot of a keyboard, we still can’t paint a real picture of just how much better the upgraded snapper will be. The snap was uploaded to Flickr a week ago, but has only now come to light thanks to the Evleaks Twitter handle. Sure, EXIF data can be faked, and this tactic has been used on several occasions to manipulate the thinking of the tech world. But in many other instances, EXIF info has proved an invaluable medium through which to learn of upcoming smartphone cameras, and if this happens to be legitimate, it wouldn’t be the first time that the Korean outfit let such vital info sneak out into the wild. 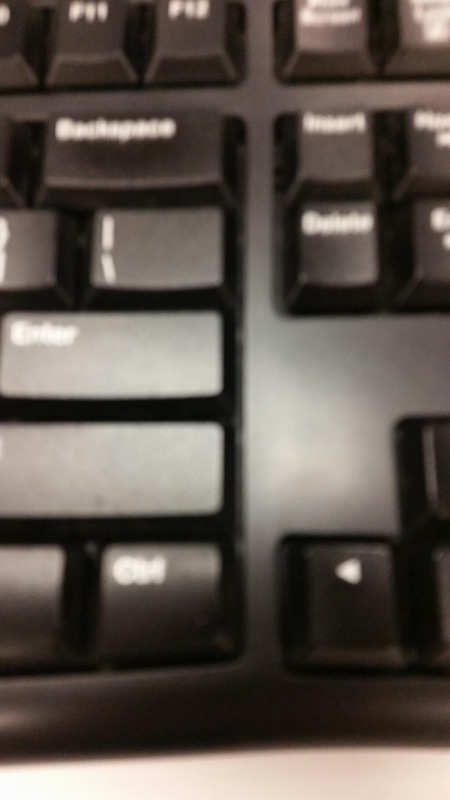 Last year, for example, some similarly blurry shots taken on the Galaxy S4 hit the blogosphere that depicted an equally uninteresting subject – the back of a computer – and considering that mid-February leak was right on the money with regards to the EXIF data, we’re inclined to believe that this is also accurate. Whatever the case may be, we’ll know a lot more at next week’s Mobile World Congress, which kicks off on Monday in Barcelona, Spain. Samsung Unpacked 5 will undoubtedly be one of the main attractions, and after a constant stream of rumor, speculation and leaks, it will be nice to finally concentrate on the new hardware. We’ll be there and following events closely, so stay tuned to our coverage here at Redmond Pie!